More than a common veil-tailed delta! These tails are made with an organza like material that provides an incredible flow. 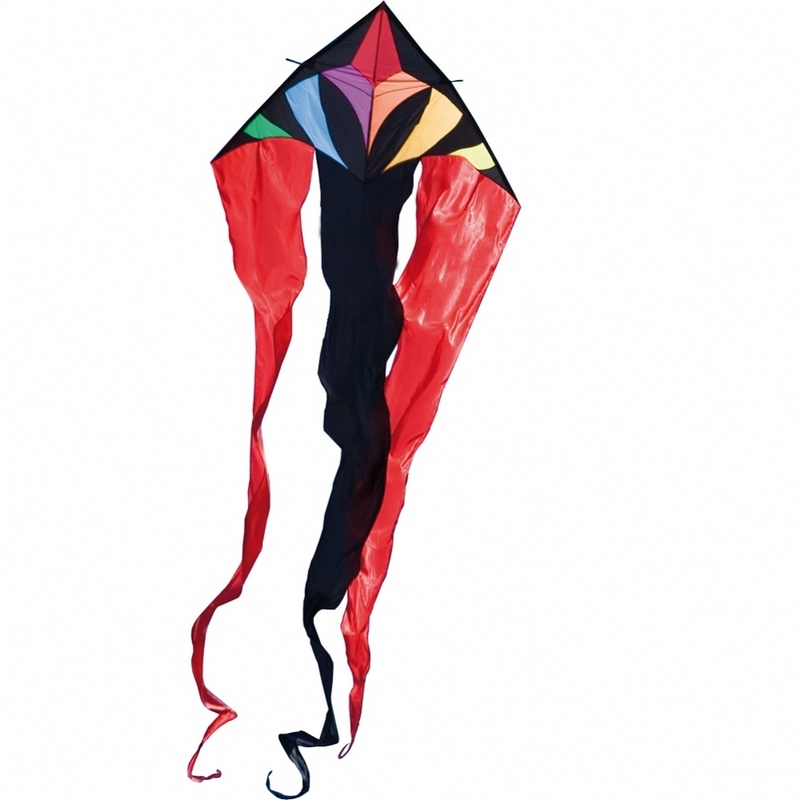 The two outer tails use Velcro attachments so they can be quickly removed on light wind days. 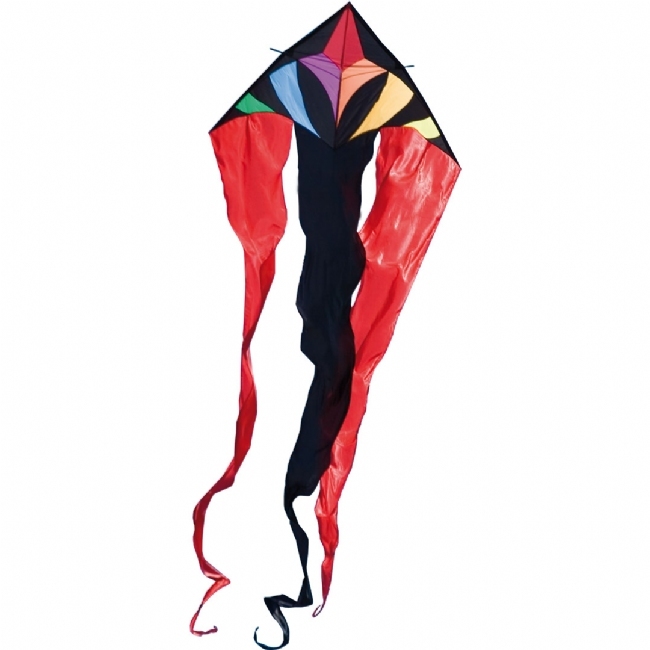 Great looking kite, flys terrifically well.